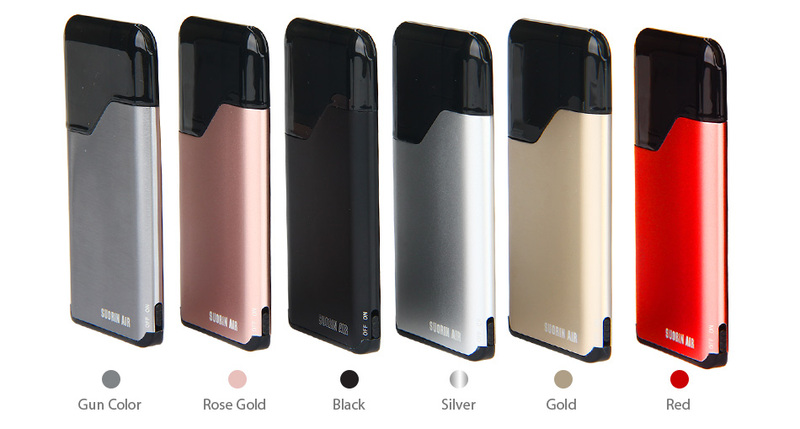 Suorin Air Starter Kit 400mAh – E-CIGARETTES.CA INC.
Suorin Air is a new all-in-one device with a modern style. It comes with a 400mAh battery and 2ml cartridge. The Suorin Air features on-off switch, indicator light and refilling design. It is a good choice for you to carry anywhere and everywhere. Available in 6 colors.